PRODUCT DESCRIPTION: Odorless concentrate which is mixed with water and applied with a pump sprayer. Very active against mole crickets. This product uses the latest active ingredient which works on just about any pest around the home. WHERE TO USE IT: Outside of the home on any plant, tree, garden area, grass or mulch. 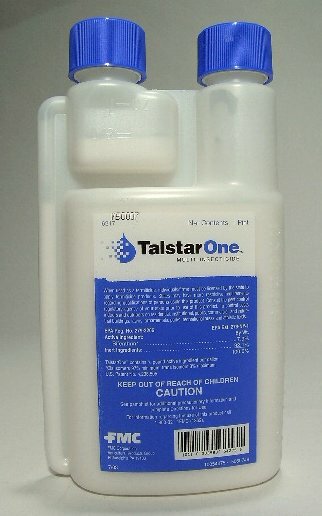 Inside the home Talstar is odorless and effective on a wide range of pests. RATE OF APPLICATION: In the yard: If you are preventive treating, use .5 or 1/2 ounce per 1000 sq/ft of turf. If you have a problem with current activity, use the full 1 ounce per 1000 sq/ft of turf. This means a Pint or 16 ounces of concentrate will treat 16,000-32,000 sq/ft of turf. Quarts or 32 ounce jars will treat 32,000-64,000 sq/ft of turf and the large 3 quart jug can treat 96,000-128,000 sq/ft of turf or roughly up to 2-3 acres. $95.00 (455776) 96 oz CURRENTLY ON SALE FOR $50.00 A JUG!! Great product. 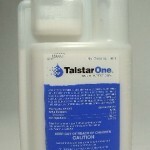 Talstar works so well and lasts. I sprayed several weeks ago and l'm still seeing the residual affects. It takes a bit of time to get results. I have 3 precious indoor only fur babies. This is the FIRST time in 4 years that I have had a single flea issue. I am located in Georgia. If you give it some days to work it will.